Pill Pouches are disposable pouches that help prevent cross contamination of different medications. They are dust-proof, spill proof, moisture-resistant and are also used for a variety of other uses. 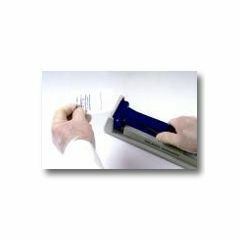 It saves hands and wrists using the basic pill crushers from stores. by Mother's caregiver from La Quinta, CA. My husband requires several medications every four hours around the clock. I take about 1/2 hour a week and organize his medicines in the pill pouches for the week. By doing this, I am assured my husband is getting the right medications at the right time and that none are missed because I write the time of day on the pouch. I use a hammer to crush the pills in the pouch instead of my manual pill crusher (requires alot of wrist twisting) which has helped relieve pain in my righthand. I recommend the pouches because of the ideal pouch size, the 8 mil thickness and how they lend themselves to safe medication organization. what size and what thickness are these pill pouches? Unfortunately Allegro Medical does not ship out side of the United States.